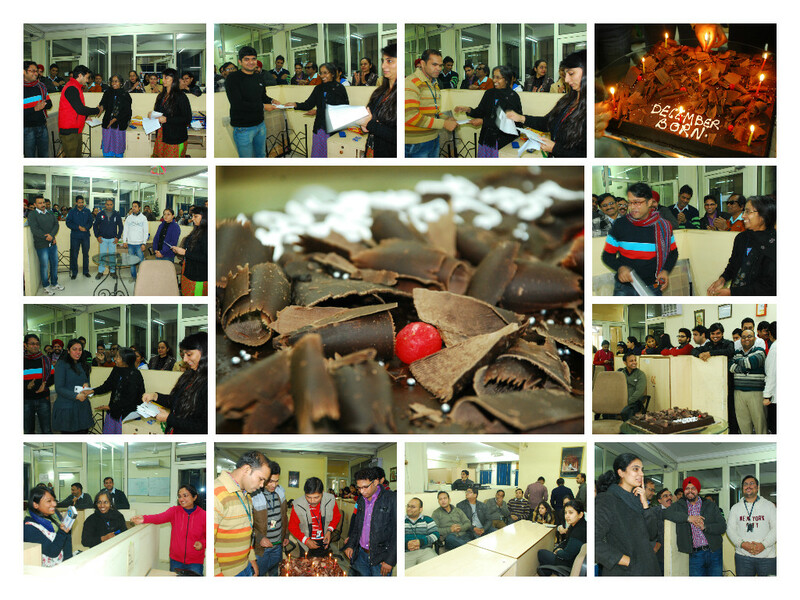 In keeping with Compare Infobase’s tradition of holding collective birthday celebrations at the end of every month, birthdays of December-born Compare employees were celebrated on 31 December 2014. Team Compare wishes a very happy birthday to all the December-borns- Anchit Kumar Barnwal, Manoj Kumar, Rajeev Ranjan, Anil Kumar, Imran Ghmad, Raj Kumar Rajesh, Tarun Kumar, Satyendra Singh Yadav, and Shanal Pradhan. The atmosphere this time was charged up a notch since employees were visibly excited about New Year’s Eve. During Cut the Cake ceremony, all the December-borns came together to cut the cake, as did employees whose work anniversaries fell on this month. A number of new hirings were made in the month of December in keeping with the organization’s strategic objectives. Dr Sanjay Joshi was appointed to head the content operations besides Subhojit (Senior Content Editor), Vivek (Content Writer), Trisha (Content Coordinator) and Wazid Haque (Senior Sales Executive). The new employees were formally introduced to the entire office by the HR department. Sangeeta was her usual peppy self as she cajoled reticent employees to partake in games like Dumb Charades and quizzes. It was a fun way to break the ice. The month of December had also seen a number of employee engagement initiatives. Ludo and Chess competitions among employees had been organized during after office hours. The names of winners too, were announced today. Shweta Talwar won the Ludo competition with Anchit Barnwal coming in a close second. Navdeep came in third. The Chess competition was won by Kamal Kishore. Rajeev Ranjan came in second and Kapil Chugh finished at the third spot. By the end of the function, everyone was hungry and made a beeline for the pantry. Special lunch was served today. The lunch buffet included Jeera Rice, Poori, Pindi Chana and Kadhai Paneer. Chocolate cake was served for dessert. We wish all our readers a fabulous New Year 2015. Let’s hope the departing year leaves behind memories to cherish, and the coming year brings in its wake newer avenues to explore, greater rewards and stronger ties with your loved ones. This entry was posted on December 31, 2014, 3:50 pm and is filed under Birthday, Celebrations. You can follow any responses to this entry through RSS 2.0. You can leave a response, or trackback from your own site.